Large municipal site on an island in the middle of the Loire within view of the Chateau. Surrounded by sports facilities with a small cafe at the entrance. Unmarked pitches with hook-ups and plenty of shade. Easy access for from the bridge over the river in the centre of town. Town shops, bars, restaurants & chateau within ten minutes walk. Cost per 24hrs: River, chateau, charming town with all the usual facilities. Leonardo da Vinci lived here and the museum is a must. There are several Da Vinci inventions on display all around the gardens of the museum. 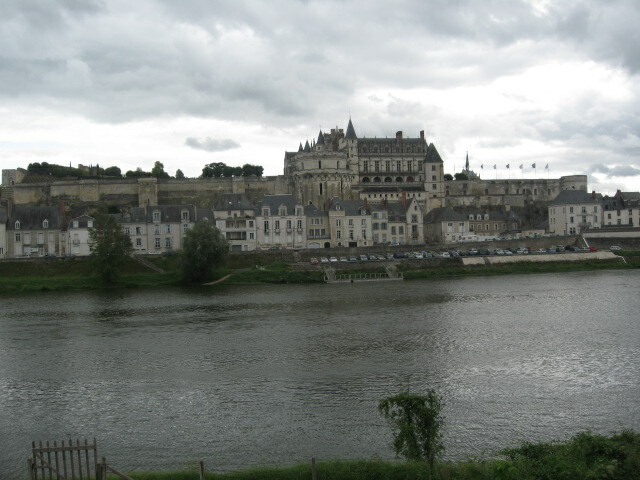 The Chateau is also worth a visit with its spectacular views along the Loire.